Implementing Restorative Practice in Schools explains what has to happen in a school in order for it to become truly restorative. Section 1 explains the potential of restorative practice in schools, describing the positive outcomes for students and teachers. It also outlines the measures that need to be in place in order to embed restorative practice. Section 2 examines the process of understanding and managing change, providing realistic and pragmatic guidance on the practical and emotional barriers that may be encountered. 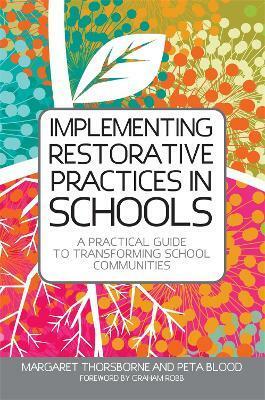 Finally, Section 3 provides in eight practical steps, strategic guidance for achieving a restorative culture that sticks. Featuring useful pro formas and templates, this book will be an indispensable guide for educators, administrators and school leaders in mainstream and specialist settings.